Coconut flour is the new baker’s delight. This wonderful substitute for wheat flour is fast finding its way into every household as a springboard for creating exciting new healthy recipes. Experience delightfully exotic breads, delicious baked treats like cookies, cakes and brownies, and much more. Coconut flour is the solution you have been looking for – whether it’s to be gluten-free, or for a low-glycaemic index diet (releasing sugar slowly over the course of the day helps keep blood sugar levels in check to give you a sustained energy release). It combines the mild natural sweetness of coconut with the highest fiber content of any other flour alternative, having at least 35% more fiber than even wheat bran. 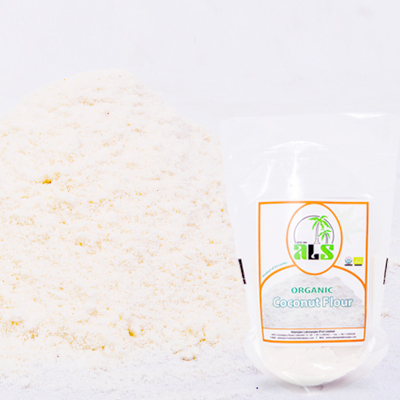 Organic coconut flour, raw material, EU-Bio and Fairtrade certified. Please follow the link to the website of ICC (International Chamber of Commerce), where you find detailed information about the Incoterms 2010: https://iccwbo.org/resources-for-business/incoterms-rules/incoterms-rules-2010/ Simply and quickly explained the Incoterms rules are internationally recognised standard codes which define tasks, costs and risk for both parties (seller and buyer).